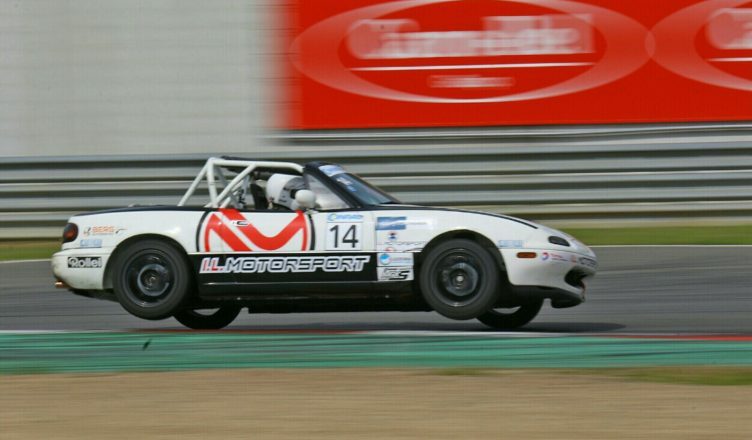 Round two of the 2017 Conrad Max5 Cup took place in Zolder, Belgium. This is always an interesting track to visit. It’s heavy on brakes due to its start-stop nature and somethng very different compared to Zandvoort or Assen. The high curbs do always produce nice pictures! Qualifying session went well with third place on the grid, but later I received a penalty for cutting the track. A lot of people received this penalty, but it was not entirely clear why I recieved a 5 place grid drop and other people only lost their best time. Starting the first race from 8th I had a coming together with another car in turn two, causing me to drop back a bit. I could fight my way back up to 4th at the finish, but the race was really compromised by the grid penalty. The pace was good as my fastest laps were right up there with the fastest. 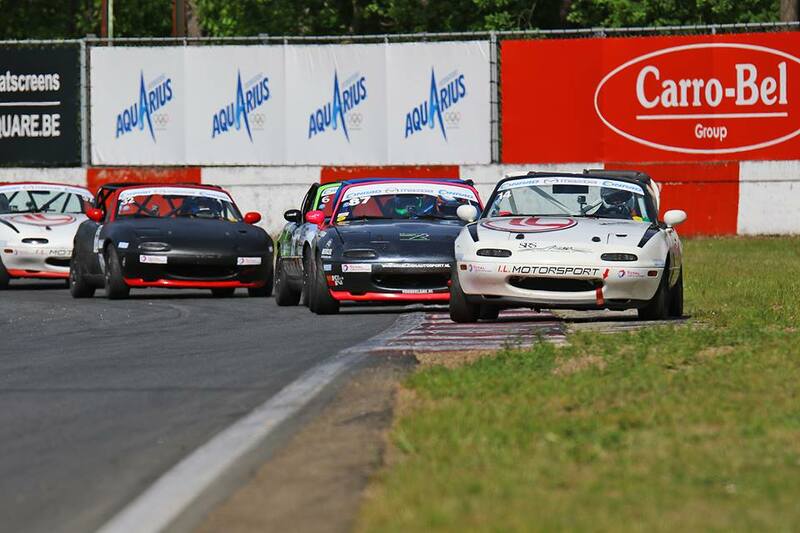 Race two started out great, taking the lead in the second lap. From lap 4 onwards things went downhill. My car started to have some gear selection issues (the same problem my teammate Chris had suffered in race 1) and a mis-shift meant that I was vulnerable for an overtake coming up to the back straight. What unfolded was pretty messy. I entered the braking zone in first, but exited the turn in 5th. How? Some of the competitors didnt bother to try and make the chicane and just went straight. Despite cutting the track and gaining clear advantage the places were not returned. Trying to get back up the order I was pushed of the track on the outside and fell even further back. From there my gear selection issue got worse and I could not attack anymore. After the race only one of the competitors got a penalty for cutting the track, emphasizing the randomness that race control showed troughout the sessions that day. The combined result of the day did put me in 3rd place, which is a small comfort. Lets quickly move on from this one and aim for a better result at the Pinksterraces! The 2017 Season is GO!